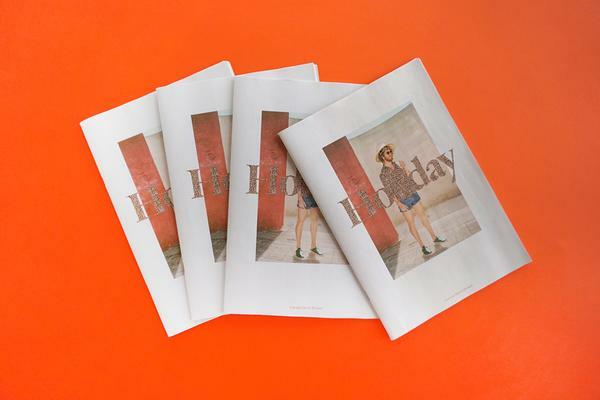 Culture on a Shoestring is a community magazine based in Lancashire and they've just printed Issue 4 with us, a Bruce Nauman special to coincide with a new exhibition at the Harris Museum and Art Gallery. 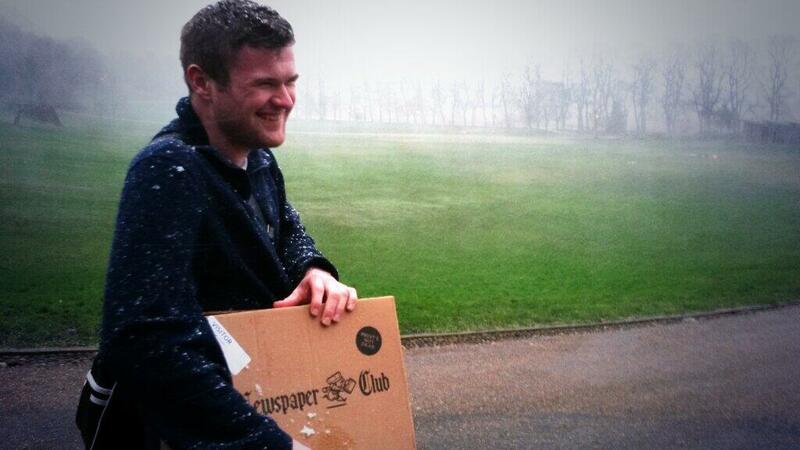 The papers arrived in Preston earlier this month and the team got straight to work distributing them around town, even braving an unexpected snowstorm that resulted in a rather heroic-looking photo. We salute your effort, Anthony! 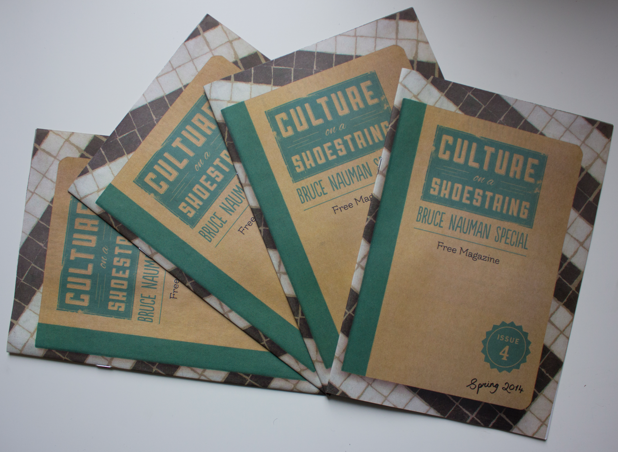 Culture on a Shoestring is a free magazine that started as a Money for Life Challenge project run by the Blaze team. 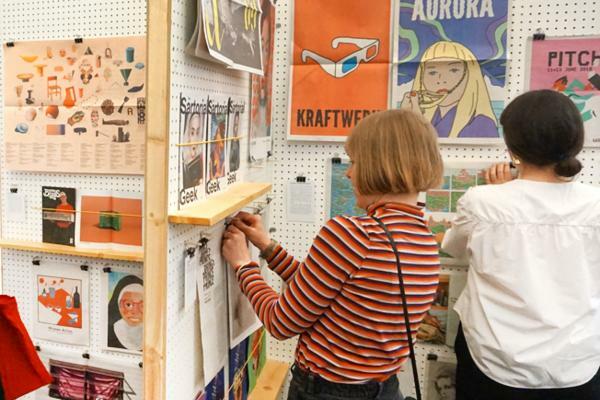 We created it to promote free and low-cost culture in Lancashire and the surrounding area, so people in our community can access quality culture even if they're on a budget. 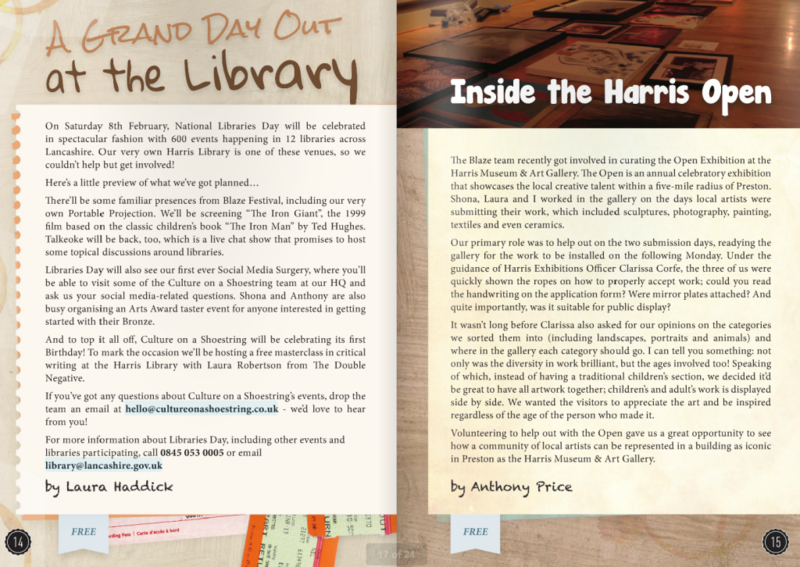 Writing about hidden gems, large creative institutions and family-run businesses alike, we've built a Culture on a Shoestring community in our native Lancashire that helps young people to develop their writing skills and find a place in their local creative network. Team members Anthony and Shona have gained Gold Arts Awards through their involvement! 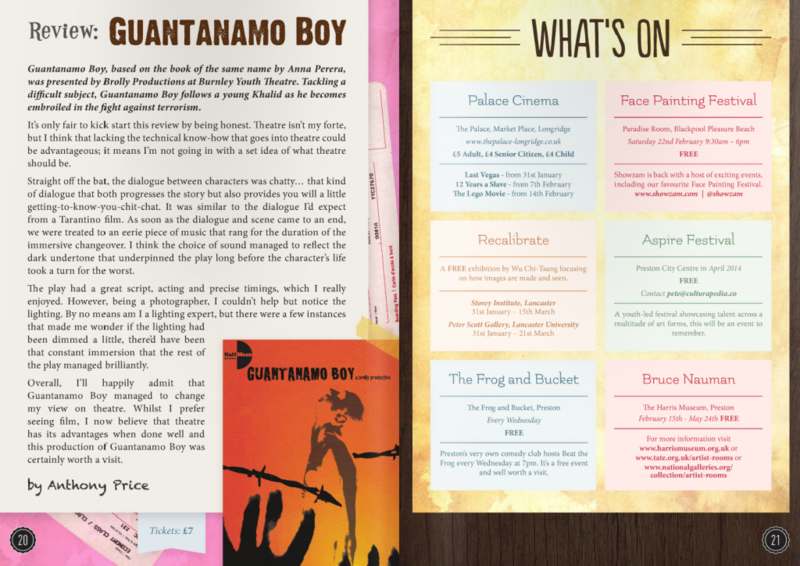 Getting the magazine printed as a mini newspaper has enabled us to pop copies in cafés, arts venues and libraries across Lancashire for people to find, read and pass on. We've had some lovely feedback and found new contributors as a result! The magazine is also available online, feel free to have a look and let us know what you think. Blaze is a youth arts organisation supported by Lancashire County Council, Curious Minds, Blackpool Council and Arts Council England. 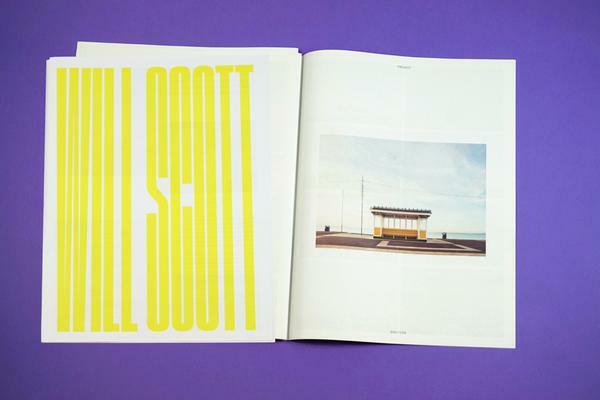 The magazine is designed by Ollie Briggs. If you're in the Lancashire area, keep up with Culture on a Shoestring on Facebook and Twitter. Thank you for printing with us!